On your arrival at Porto Airport you’ll be escorted to the luxurious Scenic Azure where a warm welcome awaits you from your crew as you board and settle into your cabin. Tonight, enjoy a welcome dinner on board. A truly wonderful experience awaits you. 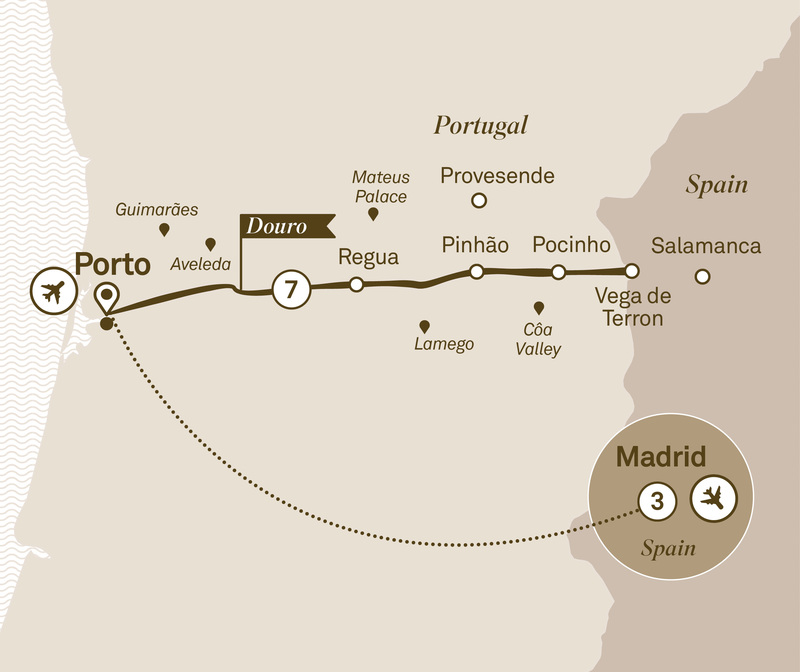 After breakfast you’ll board your included flight from Porto to Madrid. On arrival transfer to your luxurious hotel for a three night stay. This morning, enjoy a sightseeing tour of Madrid, including the 17th century Austrian quarter and the Sabatini Gardens. Freechoice: Choose between the exceptional Prado Museum, or the 18th century Royal Palace of Madrid. Later, enjoy Spanish cuisine at a charming local restaurant.